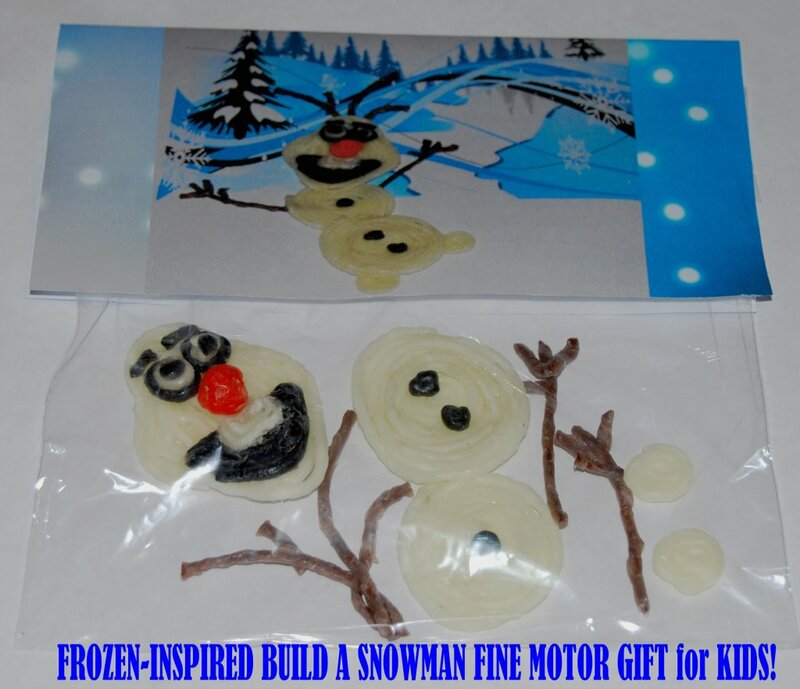 Frozen-Inspired Wikki Stix Build a Snowman Craft and Treat Bags for Kids! If you have kids at home, you are probably familiar with the Disney movie, FROZEN. The film is a wonderful variation of the SNOW QUEEN by Hans Christian Andersen that includes a funny little snowman character named Olaf. This Christmas, invite your children to create Frozen-inspired Wikki Stix snowman crafts or treat bags that will encourage creativity and fine motor skills! The “Build a Snowman” crafts and bags make a great party activity, a classroom gift, or a gift from kids to family and friends. 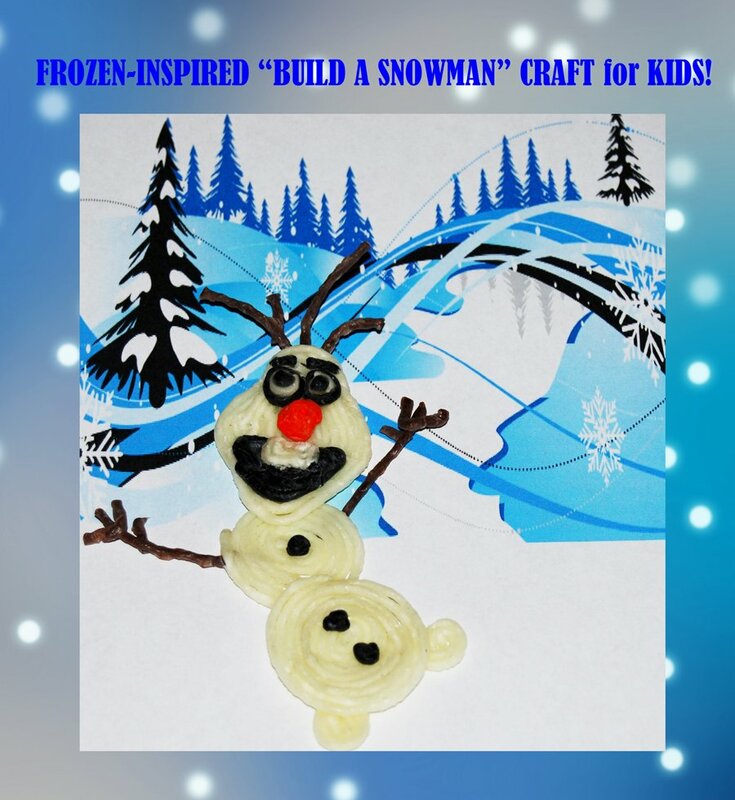 Wikki Stix “Build a Snowman” Craft for Kids! Materials needed: Scissors, 10 White Wikki Stix , 3 Brown Wikki Stix, 3 Black Wikki Stix, and 1 Orange Wikki Stix. To create the Wikki Stix Snowman: the snowman’s body is created with white Wikki Stix spirals. The bottom of the snowman is made by wrapping 3 white Wikki Stix to form a flat spiral; the middle spiral is created with 2 white Wikki Stix. The head is designed from a diamond shape. Invite the children to make a diamond shape from one white Wikki Stix. The head is finished by filling in the diamond shape with additional white Wikki Stix. Olaf’s feet are created from one white Wikki Stix that has been cut in half and formed into two smaller balls or spirals. If desired, the children can add small black Wikki Stix balls for the snowman’s buttons. To create the Snowman’s Features/Hair/Arms: Olaf’s mouth is created from one black Wikki Stix formed into a triangle (round the corners slightly) and a white Wikki Stix rectangle tooth. Olaf’s eyes are made from small white Wikki Stix balls (outlined with black Wikki Stix) and small black ball centers. Pieces of black Wikki Stix are also used for the eyebrows. Kids can make Olaf’s nose from half of an orange Wikki Stix formed into a ball. Olaf’s “stick” hair is designed from cut pieces of brown Wikki Stix. Cut four or five smaller pieces of Wikki Stix and press to the backside of the snowman’s head (so that some of the brown pieces are showing to resemble sticks). Brown Wikki Stix is also used to create the stick arms and fingers for Olaf. Just press the pieces together and join the brown stick arm underneath the snowman’s body. 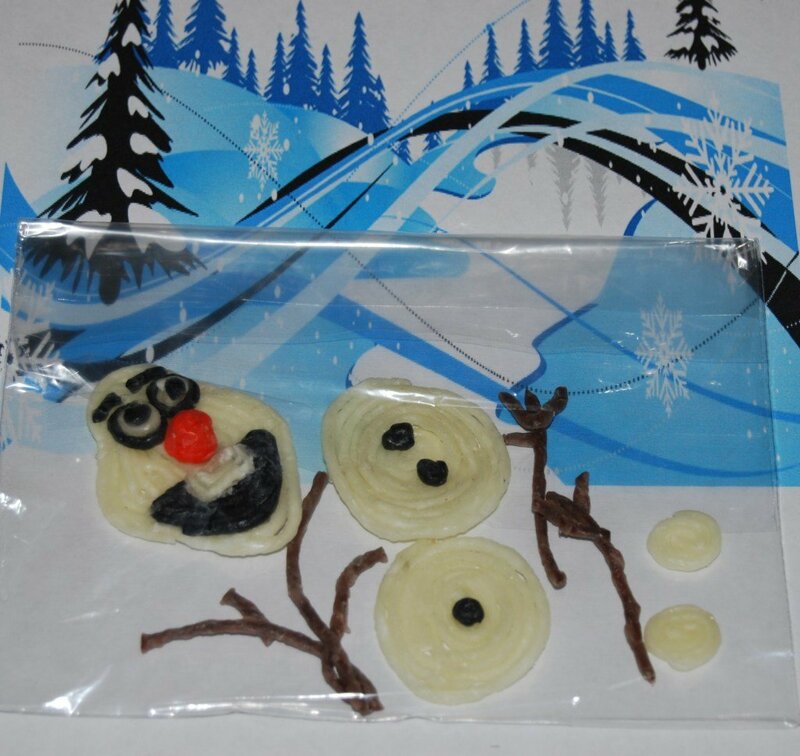 Wikki Stix “Build a Snowman” Treat Bags with Printable Topper for Kids! With Wikki Stix, the snowman craft can be taken apart and re-constructed over and over. 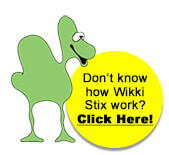 Wikki Stix is made from durable materials that will withstand many hours of creative use! The snowman building challenge can be adapted for kids of various ages. In the photo above, the snowman creation is designed for 3-5 year old kids. The snowman can be separated into additional pieces by removing the eyes, mouth, eyebrow parts, and nose to make the snowman construction more challenging. Materials needed: one Wikki Stix snowman craft (created above and separated into pieces), 1 sandwich-sized plastic bag, and one printable bag topper (Build a Snowman Topper). Place all of the Wikki Stix snowman pieces inside of a plastic sandwich bag. Print the bag toppers (linked above) and have the children cut the topper out. Fold the bag topper in the center, put over the top of the sandwich bag, and staple the middle to hold the topper in place. The Olaf “Build a Snowman” treat bags will provide hours of construction and pretend play for kids this Christmas! They make a great party gift, a stocking stuffer, or a winter non-candy treat!